WWE Hall of Famer Mark Henry believes Ronda Rousey is getting hate from fans because of her "greatness", which he feels is on a par with legends from other sports. Rousey was heavily booed on Raw this week, to the point where she had to stop her promo, leading to the early arrival of her opponent Bayley for their match. 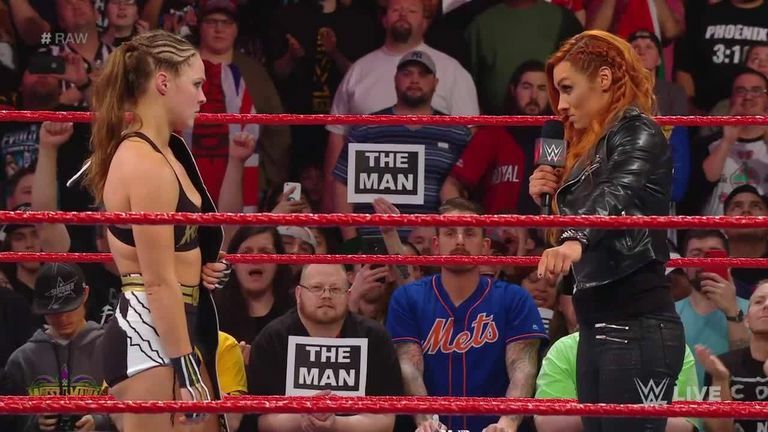 Part of that was because she is on course to face Becky Lynch - who is adored by WWE fans - at WrestleMania, but Henry feels it was also because there is a "greatness hate" in all sports. "Ronda falls under the same category as Michael Jordan, she falls in the same category as Larry Bird, and LeBron (James), and guys that are Kevin Durant, like, she is great," he said on the Busted Open radio podcast. "She suffers from the greatness hate. (Tom) Brady has been to the Superbowl nine times, he's won five of nine. There's a lot of quarterbacks that never get to go to a Superbowl. Why would you ever hate somebody that was better than Joe Montana? Yeah, I said it, Brady was better than Joe Montana. "And Ronda is getting the great hate, and we'll talk about that later, but I'm just saying, of course there's gonna be people that has animosity against her. Because she earned a level of respect that most of us will never see." Henry also feels most fans dislike great sportsmen and women - Rousey included - because they have no understanding of what makes them great. "Ronda's getting the level of attention and the level of greatness that people will never ever see," he added. "Even the best won't see that kind of stuff because there's only a few Muhammad Alis, there's only a few Michael Jordans, and there's a Ronda Rousey. And for somebody to hate that means they're, one jealous, and two not understanding of what greatness looks like up close."